papermadeprettier: Product of the Week + Holiday Catalog Sneak Peek! Product of the Week + Holiday Catalog Sneak Peek! 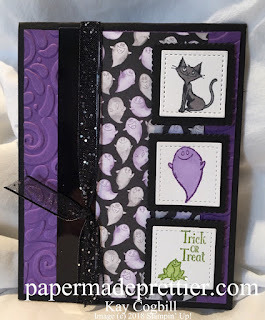 image (c) 2018 Stampin' Up! It's that time of the Stampin' Up year! Tomorrow (9/5/18) the Holiday Catalog from Stampin' Up goes live for YOU to order! 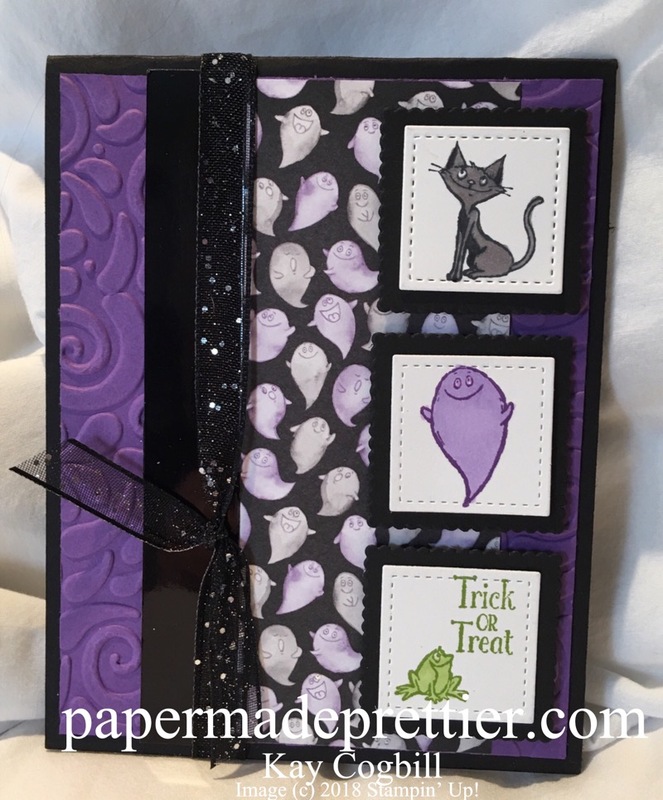 Today, I am sharing this glorious card I made that focuses on new Halloween products, but uses one of my most favorite framelit set ever - the Stitched Shape Framelits. These adorable holiday catalog Halloween creatures just look perfect framed in stitched goodness. 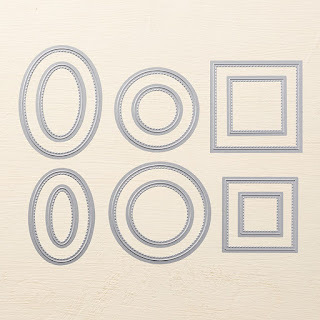 The Stitched Shape Framelits come with 4 each of the shapes: squares, ovals and circles. I challenge you to find many sentiments that will not fit into one of these perfect frames. 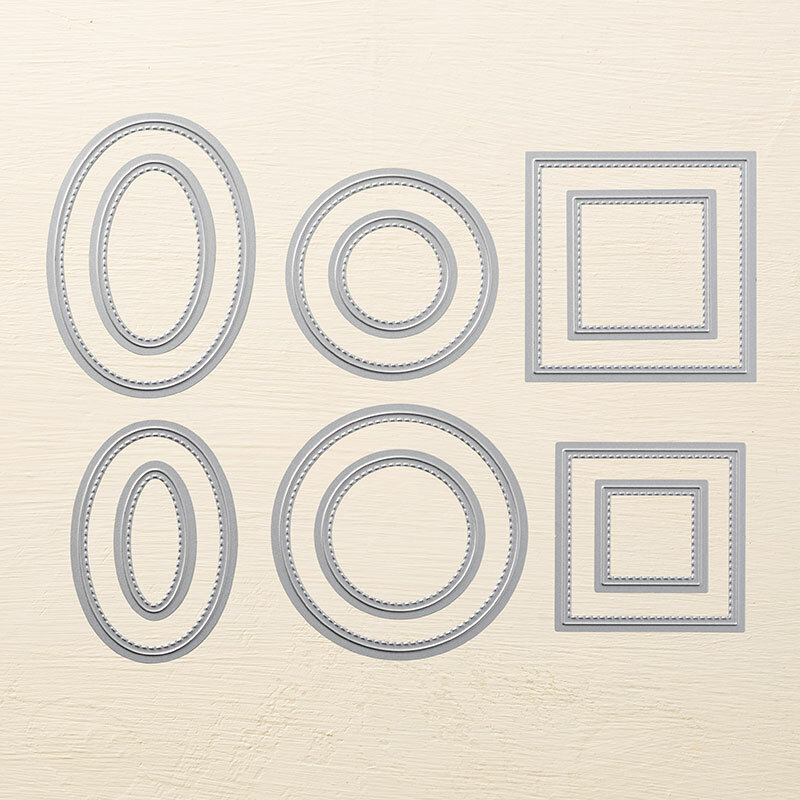 Also, they coordinate perfectly with the layering circles, squares and oval layering framelits. I'm pretty sure I've used then in every class I have had since their unveiling. I can't imaging a more versatile set of framelits. Stay tuned tomorrow for the unveiling of the glorious holiday catalog!